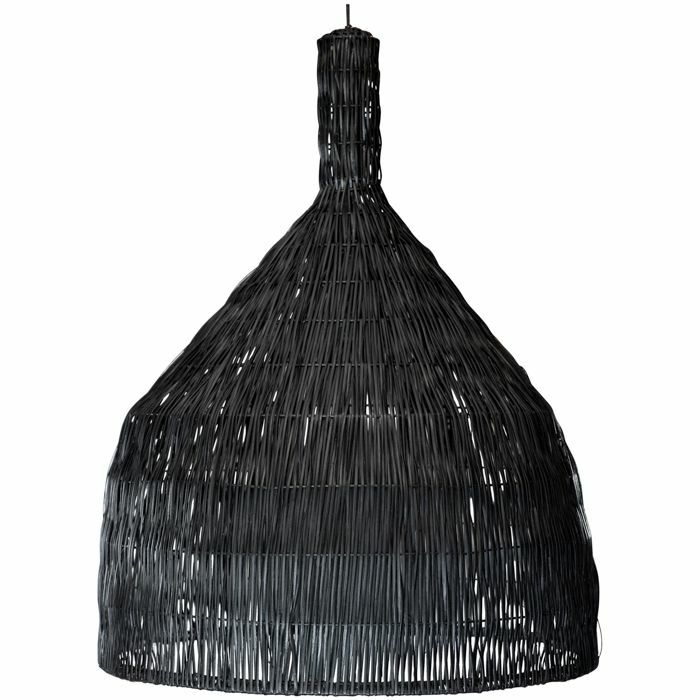 This lamp is woven from rattan and is available in three different sizes. 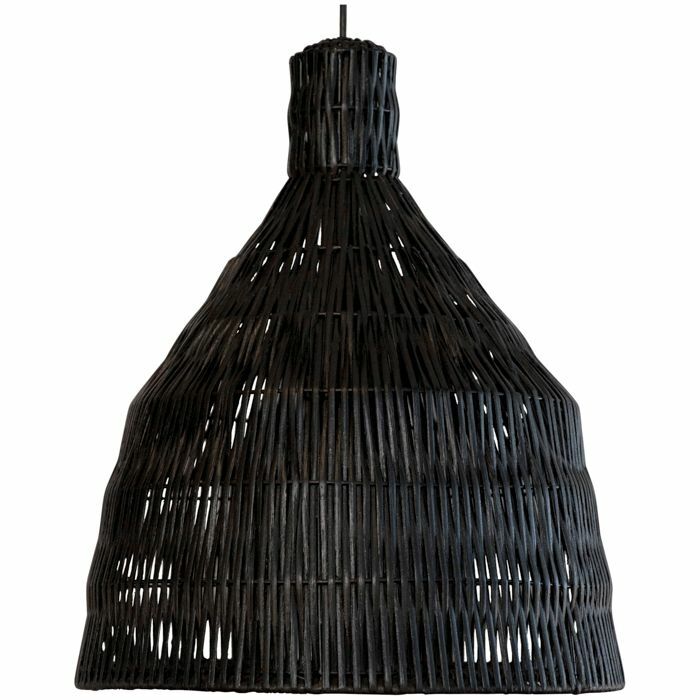 This lamp is made out of 100% palm leaves. 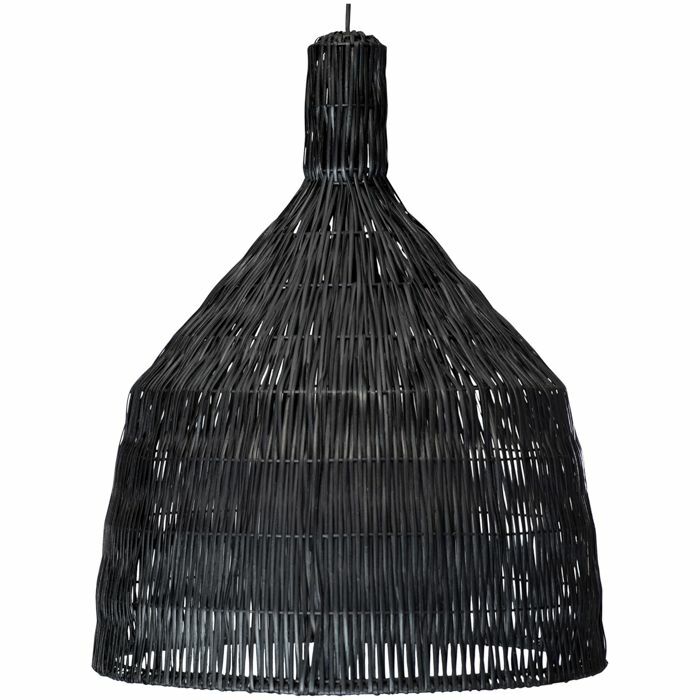 This lamp is made of jute with a natural finish. This pendant, available in two sizes, is made of wood and aluminium.